Australia's Cameron Bancroft makes 33 on his debut for Durham as the hosts made slow progress on day one against Sussex. 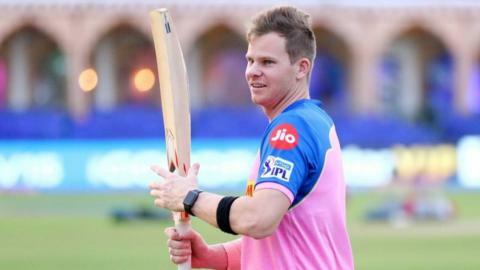 Durham captain Cameron Bancroft says he is happy to be enjoying his cricket again and would like to see David Warner and Steve Smith play for Australia at this year's World Cup. 'A horrible, horrible moment' - is this the worst leave ever? Read more on 'A horrible, horrible moment' - is this the worst leave ever? Who were cricket's winners and losers of 2018? Read more on Who were cricket's winners and losers of 2018? Who is the best batsman in the world? Read more on Who is the best batsman in the world? How do you tamper with a cricket ball? Cricket analyst Simon Hughes looks at the mechanics behind ball-tampering and what effect it can have. Read more on How do you tamper with a cricket ball? Ball-tampering - what, how & why? BBC Sport takes a look at what ball-tampering is and why it has provoked such an outcry. Read more on Ball-tampering - what, how & why? Who was involved? Are Australia out of control? We try to answer the key questions after Saturday's ball-tampering. From England captain Michael Atherton in 1994 to South Africa skipper Faf du Plessis in 2016 - ball-tampering scandals have a long tradition in cricket.